Location: Lin Ze Xu Foundation headquarters at 22 Chatham Square. 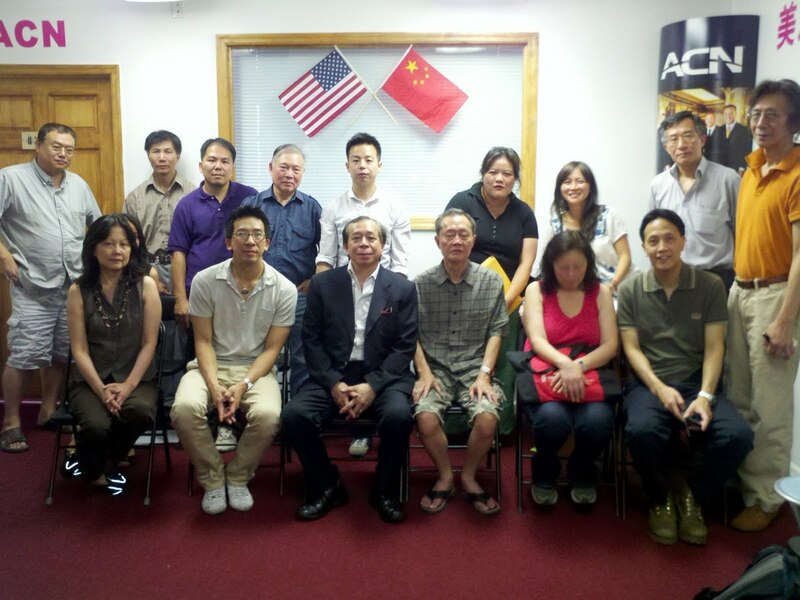 Weekly meeting of property owners and small business owners Against the Chinatown BID. Today, at 11:00am, property owners and small business owners met to discuss their plans for this week as the deadline to submit Official Objection Forms to the City Clerk nears. Friday June 24th is the last day that objection forms may be handed in to the city clerk’s office at 141 Worth Street. 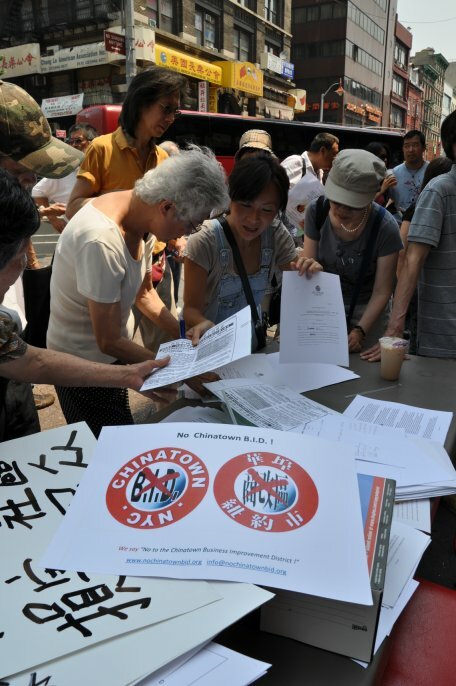 1) Volunteers will be on hand tomorrow Wed. 22nd 11:am – 1:pm to assist (Chinese and English) property owners within the BID to fill out Official Objection Forms. The location: Chatham Square Near Lin Ze Xu Statue. They will help locate missing deeds, and notarize the forms on site. Rain location : # 22 Chatham Square 3rd floor – Lin Ze Xu Foundation headquarters. 4) Asian American Legal Defense and Education Fund will send a letter to City Council as well. 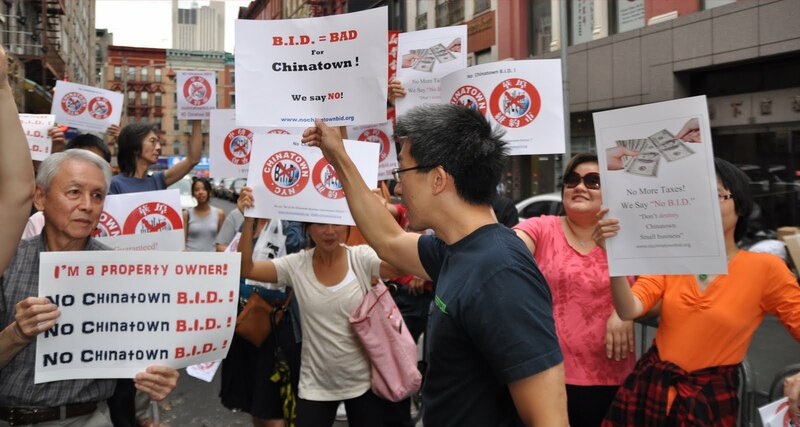 5) Another protest rally is scheduled for June 28th (the day before the City Council votes on the Chinatown B.I.D.) 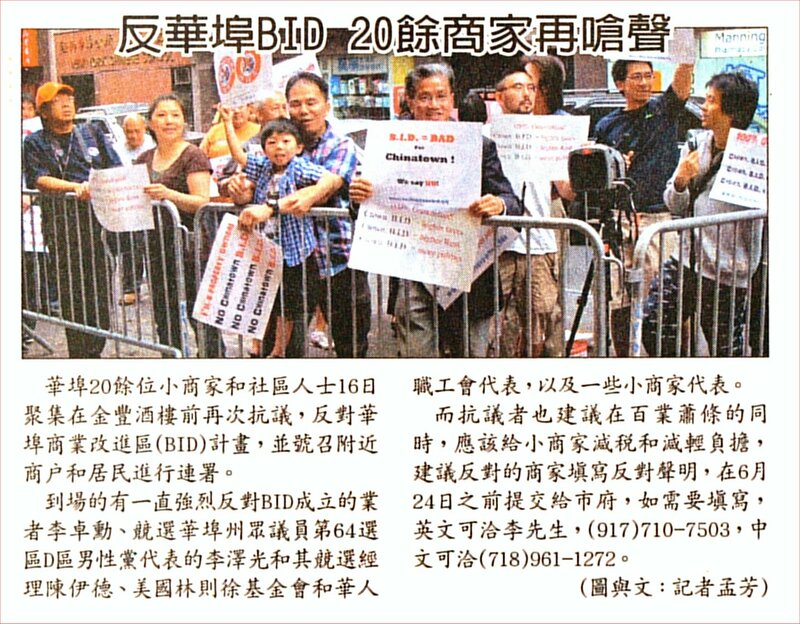 on the STEPS OF CITY HALL – we ask all small business and small property owners to join this rally – to express our concerns to City Council members to vote “NO” for the Chinatown BID. Property owners will sign an open letter to Council member Margaret Chin at the Rally. ALL who are Against the BID are welcome to join, but especially small businesses and property owners. We wish to publish this so we can get good attendance. 6) It was agreed that the property owners will organize to form a Property Tax Payers Association, a group that is unified against the B.I.D.. Applications can be picked up at 74 Forsyth Street, 212-941-7452, Mr. Stephen Cheung. There will be a small membership fee to cover the group’s expenses paid by property owners, small businesses can join for FREE. This group will also work with community boards, and explore alternative cleaning services – that do NOT involve a BID. more complete application forms will be coming soon, we need to get an idea at this point of how many people/buildings are signing on. The property owners group is still forming the corporation at this time. 7) It was unanimously agreed that efforts to stop the BID from forming will continue, and even if the BID is formed the efforts to dismantle it will continue indefinitely. NO B.I.D. in the City has ever had this many objection forms turned in. 9) The small property owners organization will explore cleaning options that the Councilmember and CPLDC refuse to explore.